The smell of Pumpkin Spice is just a flavor of fall. 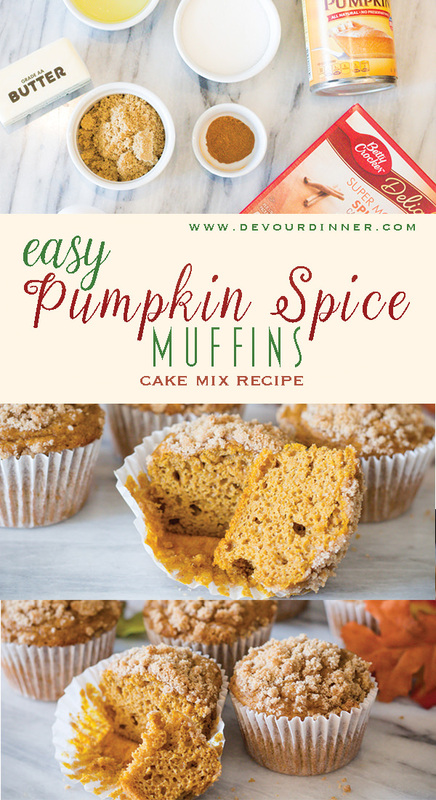 Pumpkin muffins are a real treat and this easy recipe uses a spice cake mix, which makes these Pumpkin Spice Muffins perfect for any occasion. I love Fall, and the smell of Pumpkin Spice is just part of that season. 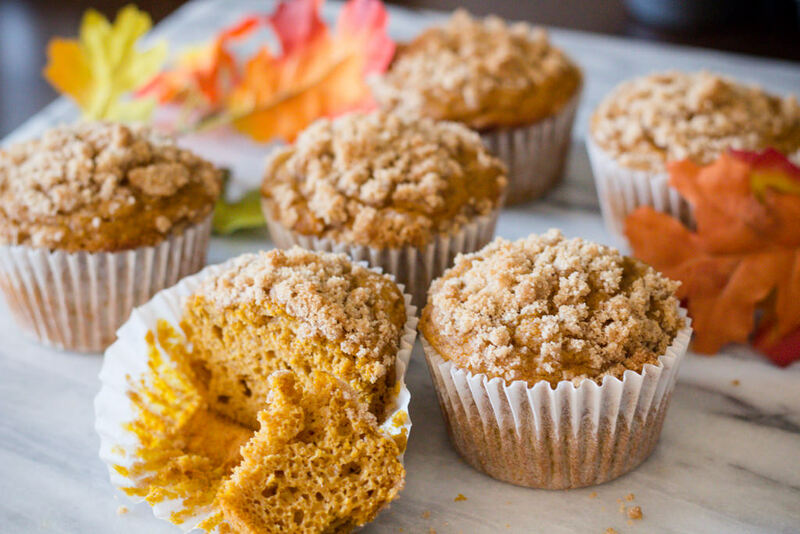 Pumpkin Muffins with a crumb topping are simply wonderful. 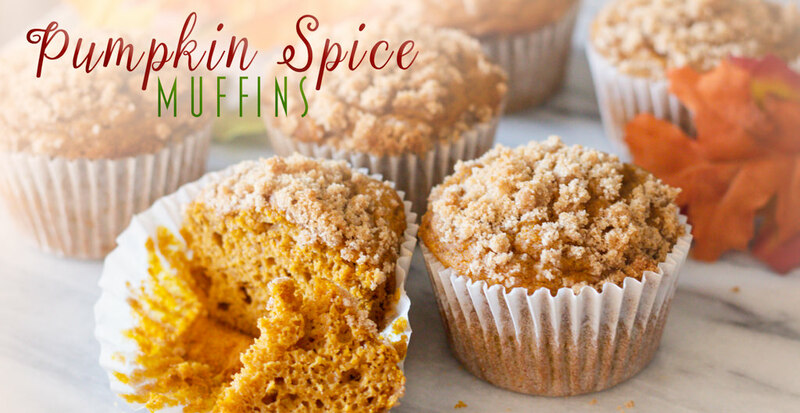 This recipe uses a Spice Cake mix which adds the perfect flavors to these Pumpkin Spice Muffins. 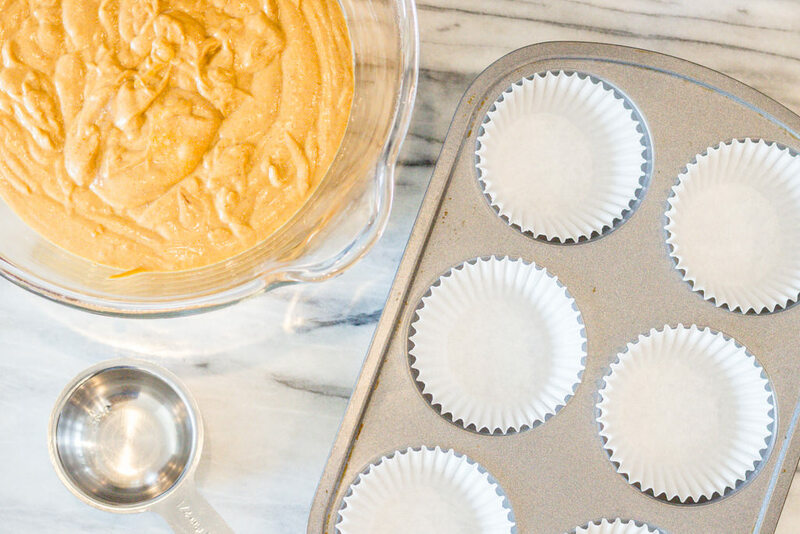 It also makes this recipe of Pumpkin Muffins a super simple recipe to make! 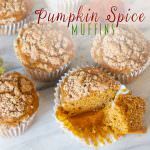 How to make Pumpkin Spice Muffins? Pumpkin Muffins are so simple to make. 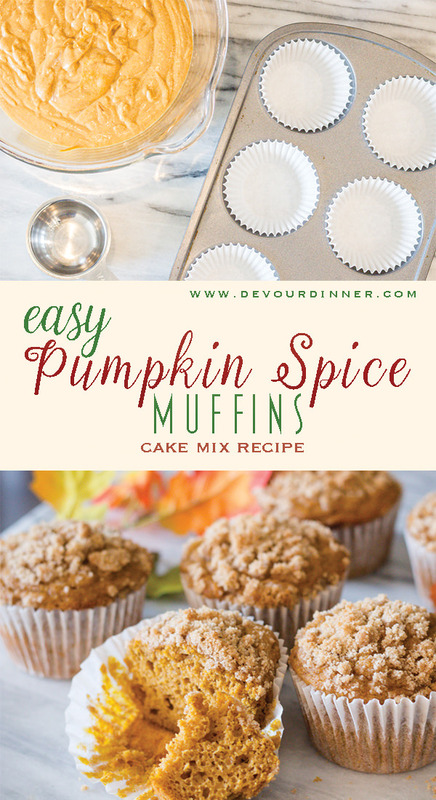 I make these Pumpkin Spice Muffins in my stand mixer, however you can also mix these up using a hand mixer. 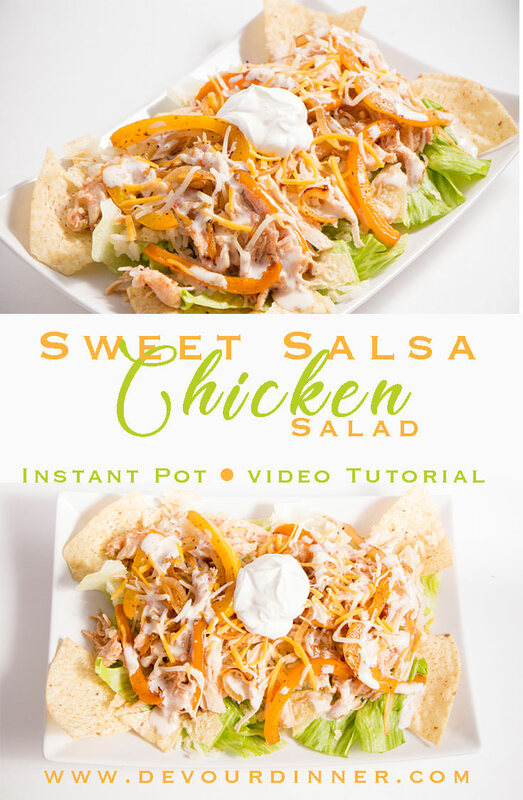 Both work just fine for this recipe. My boys love how moist and full of flavor these muffins are and are excited to eat them whenever I make them. Pumpkin Spice is just part of the fall season, along with cooler temperatures, and the turning of leaves. 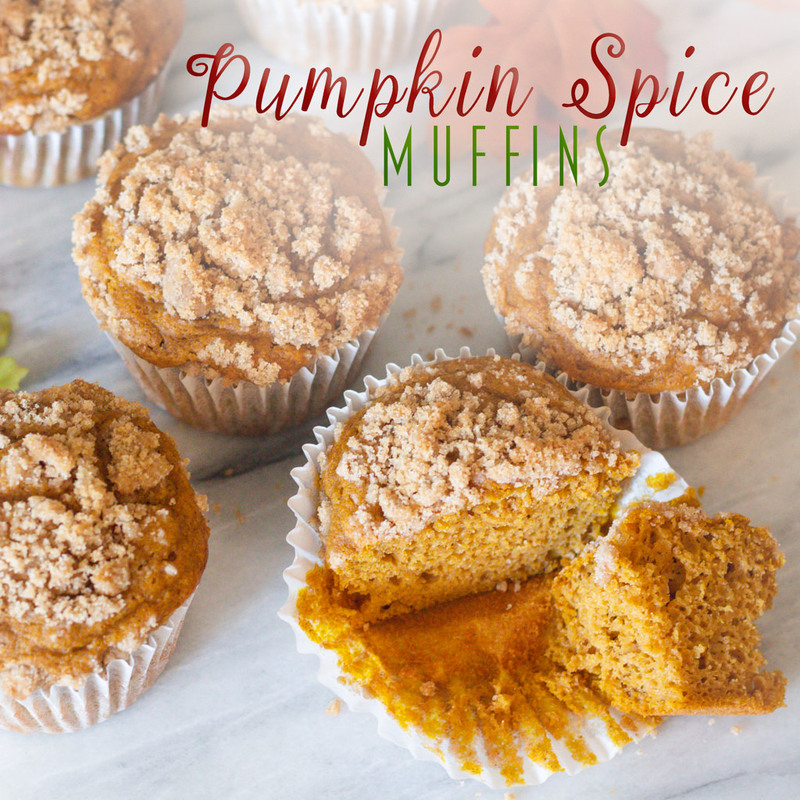 We love to enjoy Pumpkin Spice Muffins as an after school snack, or even as a treat to take to the neighbors. 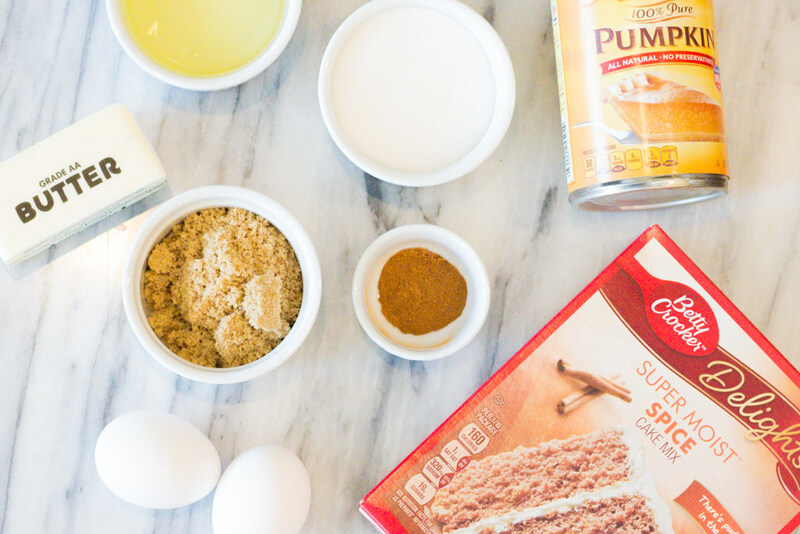 Regardless, it’s such an easy recipe using a Spice Cake Mix, which makes these recipe truly super simple. 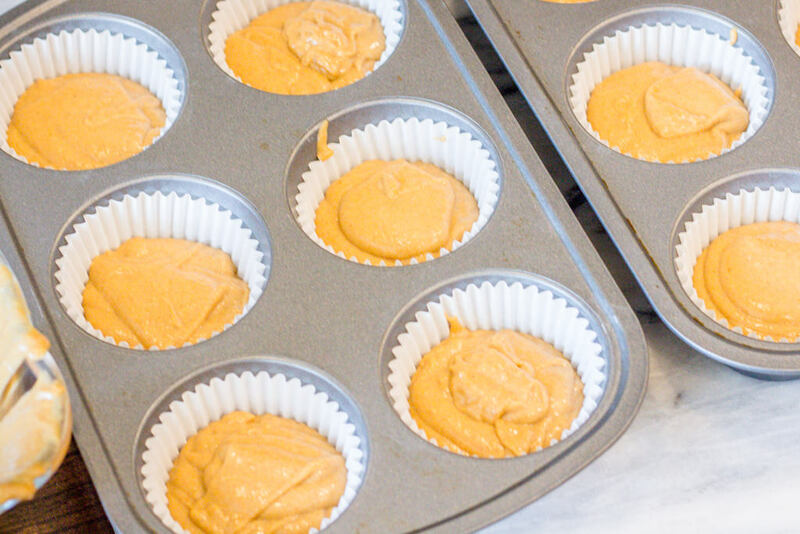 Mix together Cake Mix and Pumpkin and fill muffin tins 1/2 – 3/4 full. Top each muffin tin with Crumb Topping for an extra bit of flavor. 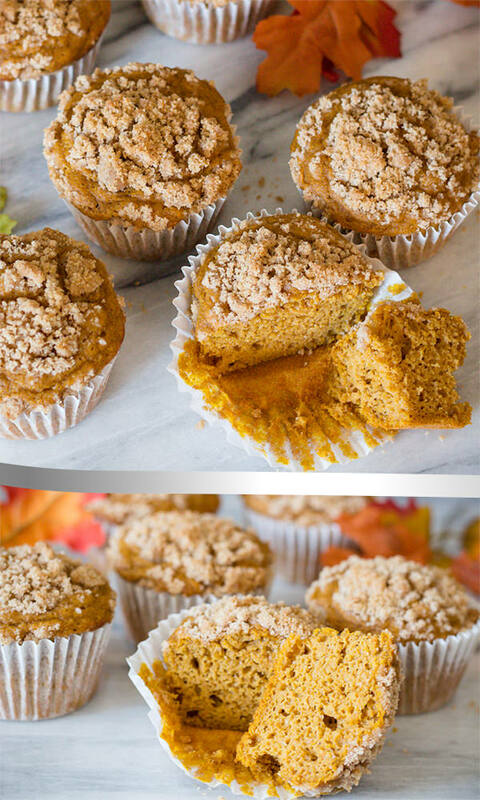 How to Store Pumpkin Muffins? Pumpkin Spice muffins will last 1-2 days being covered with plastic wrap or foil. However, if you wish to store longer, place a paper towel on muffins and then wrap in foil to help keep the moisture from escaping and the muffins from drying out. Use a cheese grater to grate ice cold butter. It will grate easily and also mix into your crumble easily. 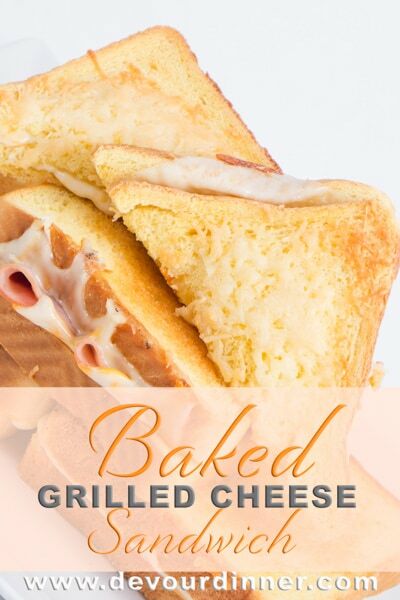 Grease or line with wrapper, muffin tins. 12 jumbo muffins or 24 regular size muffins. Pumpkin Muffins are a wonderful fall snack. 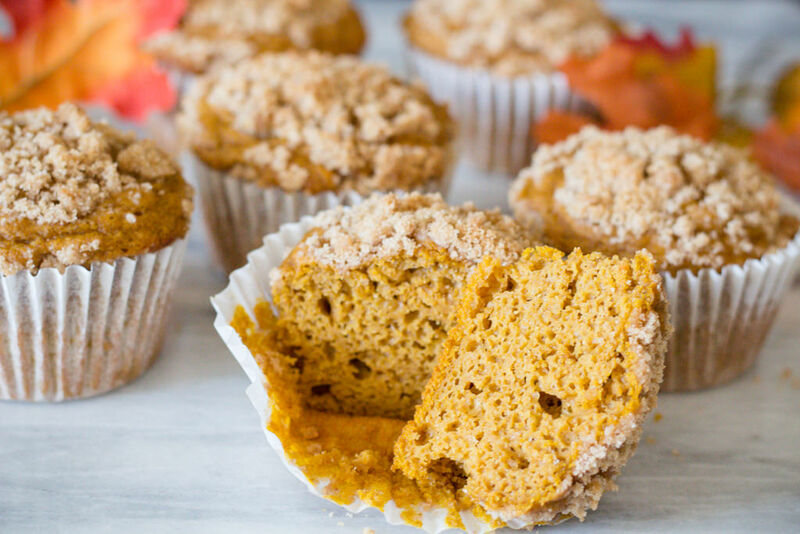 This easy recipe is made with a spice cake mix and a fun crumb topping making these Pumpkin Spice Muffins delicious. 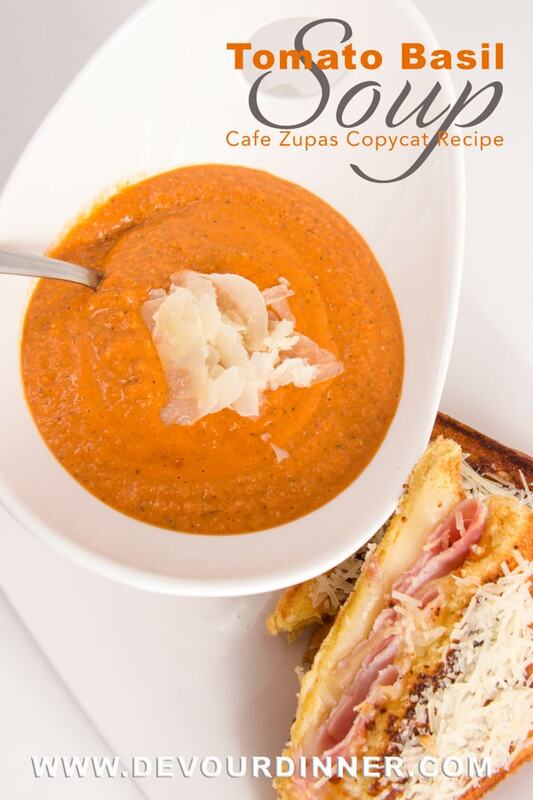 In a large bowl or stand mixer, combine cake mix, eggs, water oil and pumpkin. Mix to combine. Line or grease muffin tins. Recipe will make approximately 24 regular muffins of 12 ex-large muffins. Fill each muffin tin 1/2 - 3/4 full. 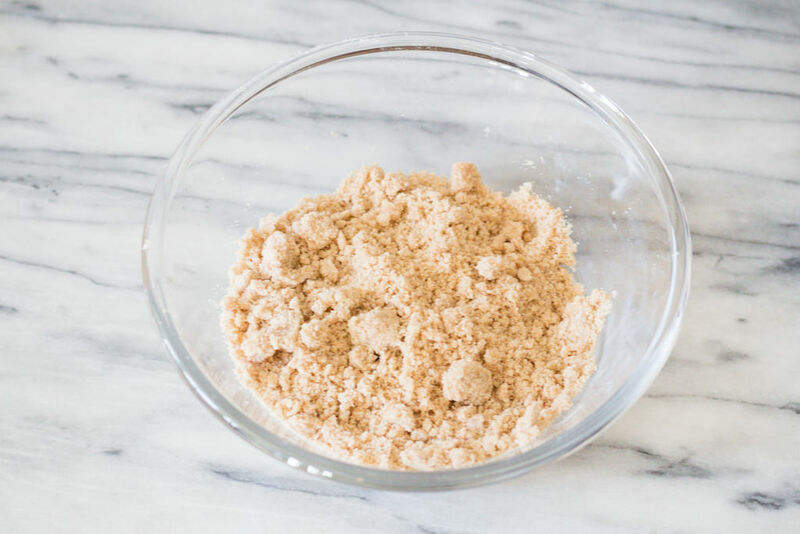 In a bowl combine flour, brown sugar, white sugar, and pumpkin pie seasoning. Add cold butter. 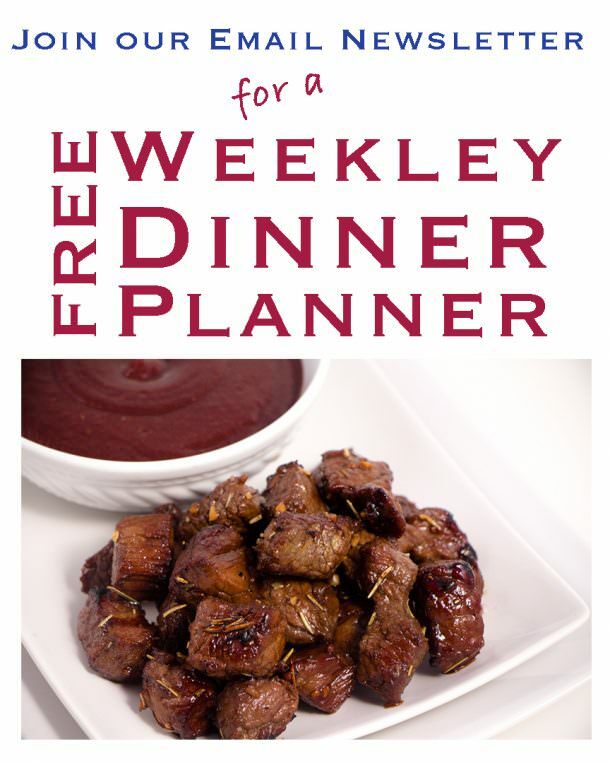 *Tip - I use a cheese grater to grate cold butter into smaller pieces which makes it easy to use a fork and make crumble. Sprinkle crumble on top of muffin mixture and bake.